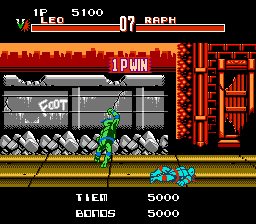 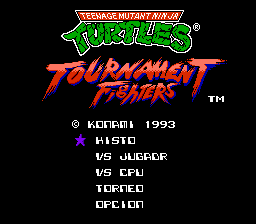 Teenage Mutant Ninja Turtles: Tournament Fighters is an action fighting game for the Nintendo Entertainment System. 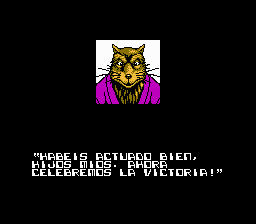 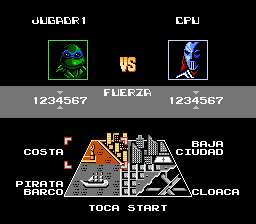 Full translation to Spanish (all small letters) for “Teenage Mutant Ninja Turtles: Tournament Fighters”, for the Nintendo Entertainment System. 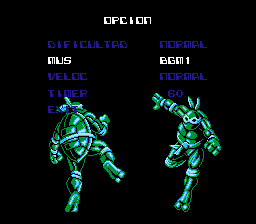 TIMER-EXIT use sprites.